Stylish, comfortable and affordable, Jack and Jones provides the answer for guys looking for easy-to-wear statement clothing that they can wear year round. 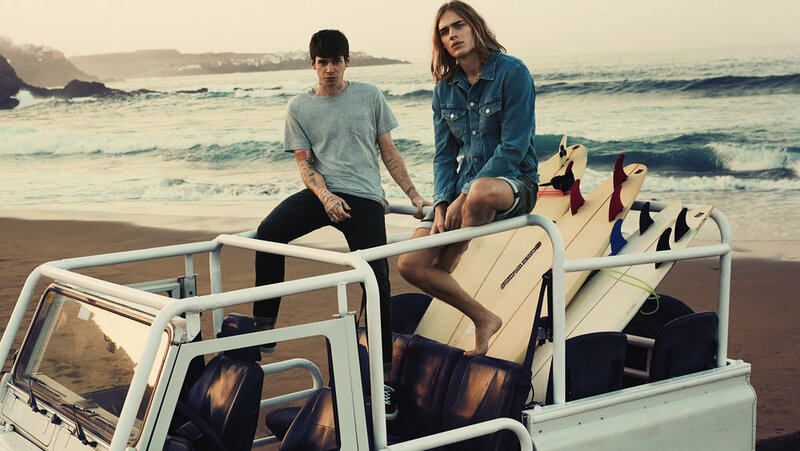 Established in 1990, Jack and Jones was created to make jeanswear more accessible and affordable for men, and today is one of Europe’s leading producers of men’s fashion, with more than a thousand stores in 38 countries. All of Jack and Jones’ jeans are designed with respect for denim traditions and made with industry leaders, with different pieces and ranges drawing inspiration and influence from different places to suit every individual’s personal style. Jack and Jones Originals draw on elements of street and youth culture to provide pieces that feature creative hand-drawn graphics and are comfortable and can be worn every day. Jack and Jones Core showcases pieces inspired by streetwear with subtle nods to the sporting universe. These pieces boast a defined urban identity that can be identified through casual wear, with clear lines, monochrome colours and striking art directions. Jack and Jones Premium is the most formal of the brands ranges, with luxe casualwear that features clean silhouettes and high end details to satisfy of the more stylish urbanite man. Jack and Jones provides the perfect fit for all men, with their ranges encompassing pieces to suit any style type, and is the perfect staple for any man’s wardrobe.